I have been keeping journals, in one form or another, on and off since I could write. I remember my first diary. It was one of those small books that come with a lock and tiny key. It was from Sanrio [obviously] with my favorite Hello Kitty character at the time on the cover. I loved that thing. It wasn't long after that, that I started scrapbooking with one of those cling albums. Memory keeping is my jam. I have journal after journal chronicling my personal life -- the day to day happenings, friendships, love, and heartbreak. But over the years, it never even crossed my mind to keep an ongoing journal about my relationship with God. 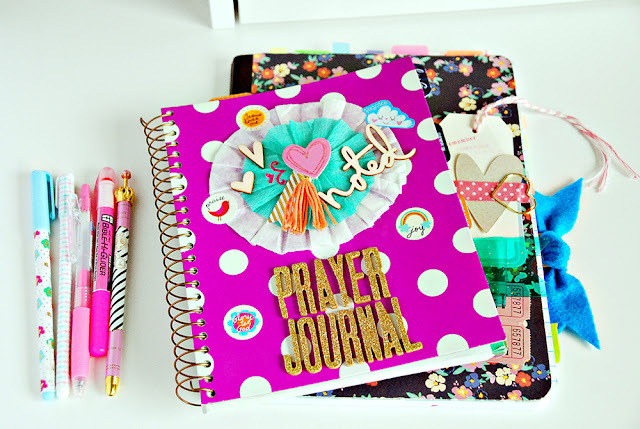 When I discovered Bible journaling a couple of years ago, I couldn't get enough (and still can't!). 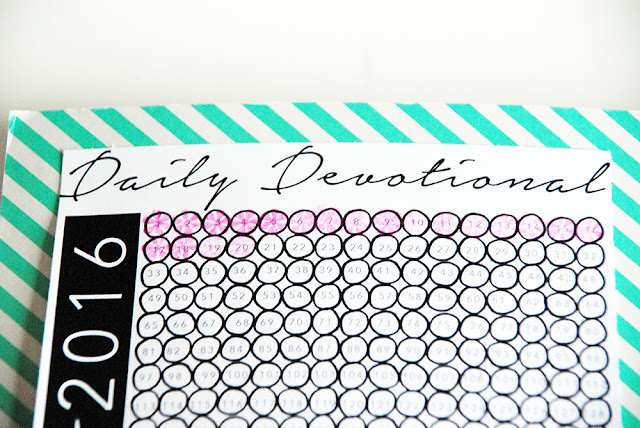 I scoured Pinterest for ways to delve deeper into the Word and keep documentation of my faith. 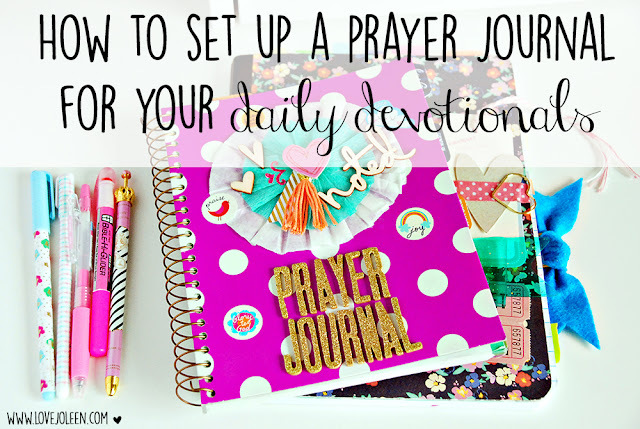 Enter the prayer journal. When I saw this idea all sorts of lightbulbs went off in my head -- of course! 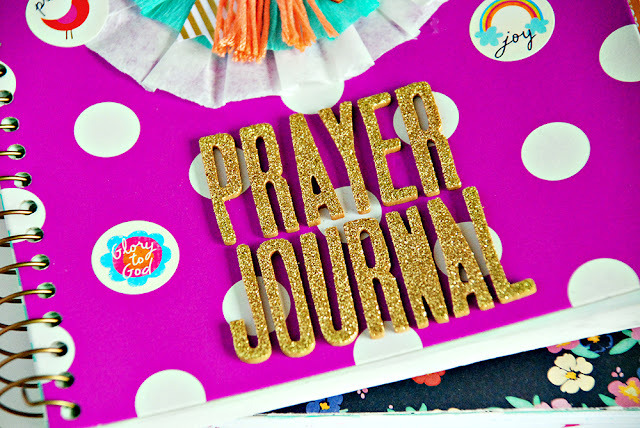 I put together my first prayer journal in September 2014 and am now writing in my second one. Working in them brings me so much joy and inspires me to be faithful in my studies. 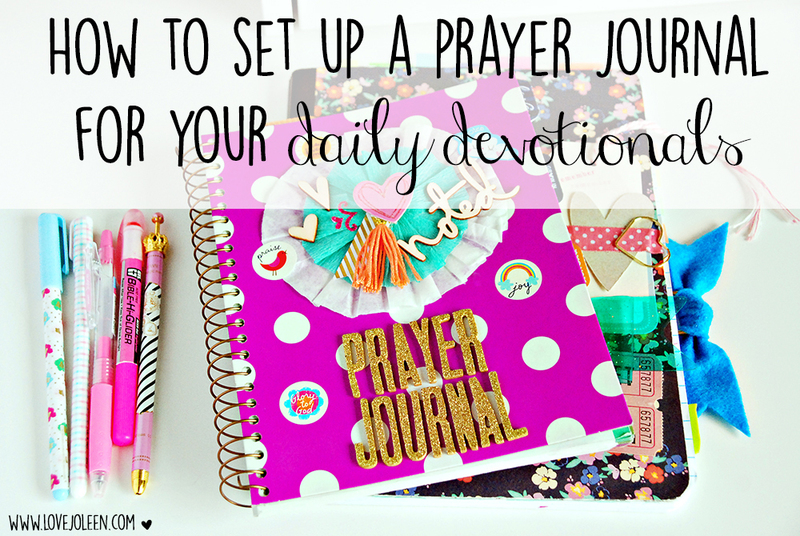 I hope you find these basic tips for setting up your own prayer journal helpful! 1. 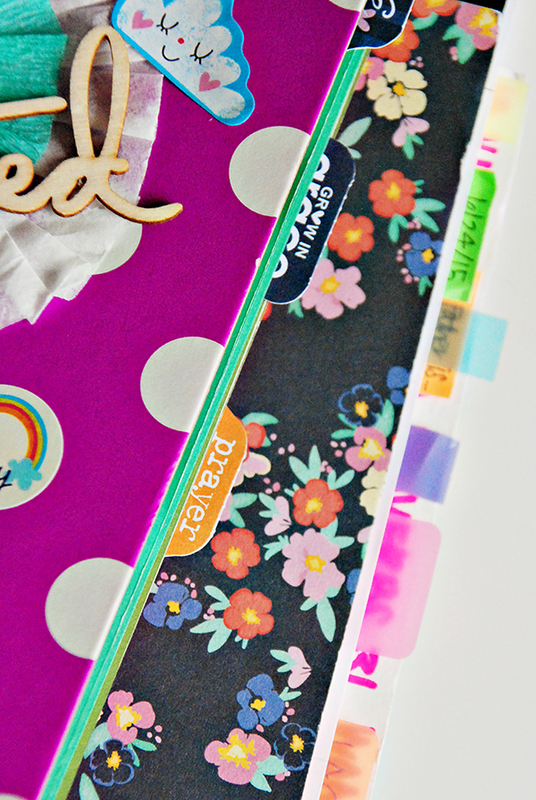 Get a blank journal or notebook to use. It doesn't have to be anything fancy. My first journal was a .55c composition book that I covered with scrapbook paper. My current one is a journal I received from a friend. 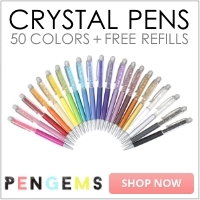 They can be as basic or as elaborately decorated as you want. 2. Tab your sections. 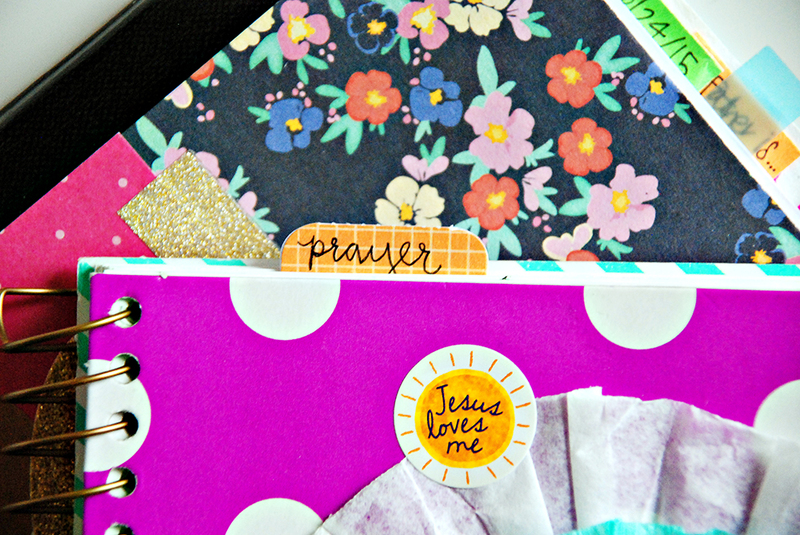 I've made my own and used pretty pre-made tabs that I purchased from Illustrated Faith. I have a section for journaling gratitude, prayers, and study notes. Sometimes I use tabs to create sub-sections or for keeping track of specific names, dates, titles, etc. 3. Keep a checklist. If you're anything like me, lists and checklists can be super helpful! I printed this freebie from Illustrated Faith after adding my own header in Photoshop. You can easily create your own. All you need is something to check off for every day of the year. 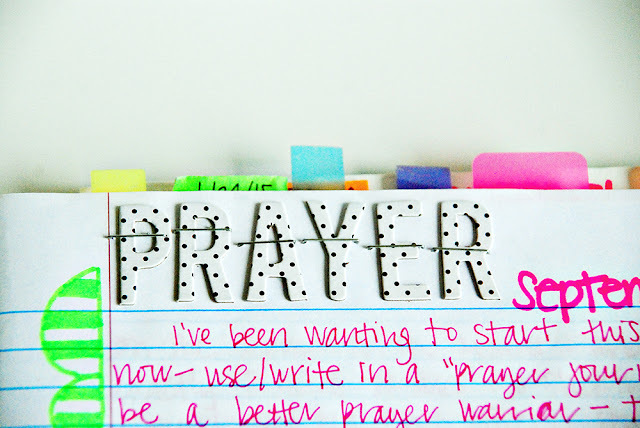 I keep mine on the inside cover of my prayer journal to check off and help hold myself accountable. 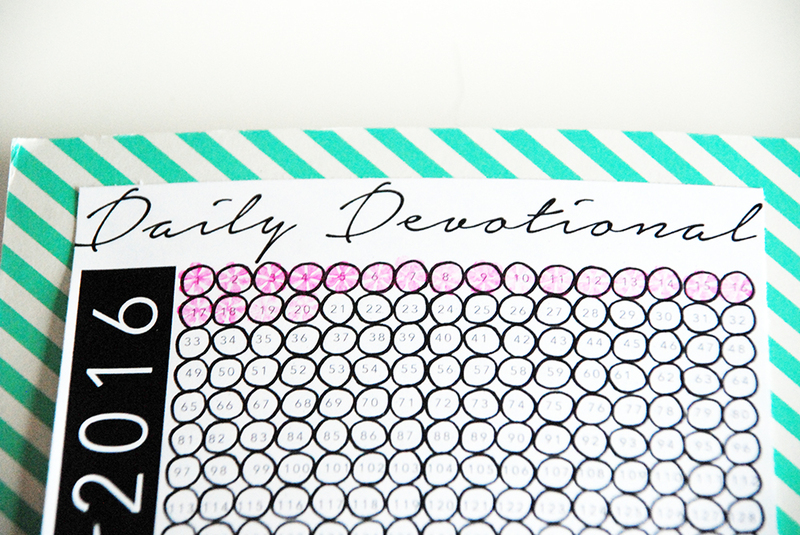 Sometimes I do miss days in my devotional but I try not to miss two in a row so that I can easily catch up the following day. Once I complete it, I still check off the day as completed. 4. Use your journal for bible study notes, sermon notes, and to help memorize scripture. I am currently doing the 30-day She Reads Truth study on Genesis. 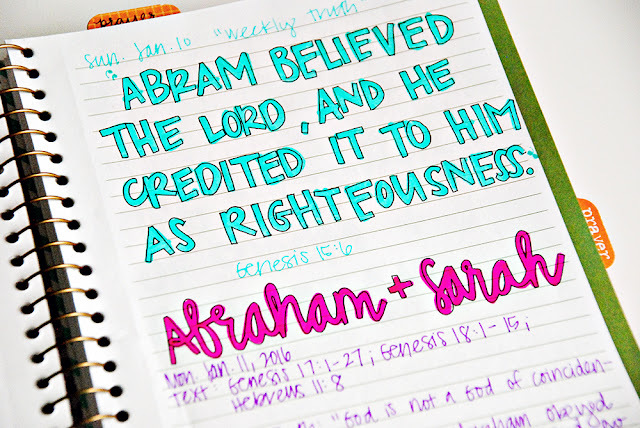 Each day I write the date, title, text references [what I read], any quotes from the study that speak to or inspire me, scripture, and my own thoughts. On Sundays I write out the "weekly truth", or verse we're memorizing, in addition to adding the lock screen image to my phone for the new week. 5. Keep a section for prayer [obviously... hehe]. In this section I mostly keep a running list of prayer requests. This is a great section for using those sub-section tabs. If there are certain people that you pray for continuously (like your spouse, children, parents, etc.) you might consider having a separate page or section dedicated just for them. I did this in my previous journal but in my current journal I'm just keeping an ongoing list. 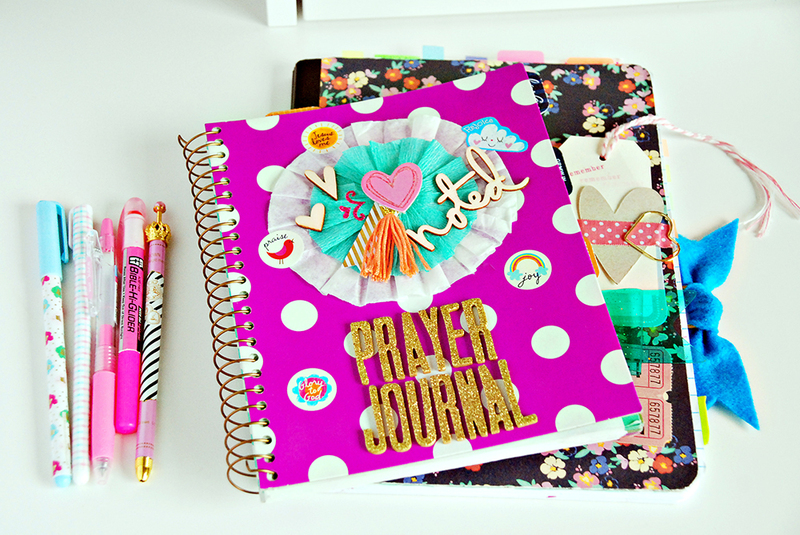 In this section I will also write out my prayers to God, much like a diary. Thank you for this opportunity to praise and worship you in this way. Please be with me as I'm in your Word each day and speak to my heart so that I might grow closer to you. Help me to make my time with you a priority and take away any distractions. 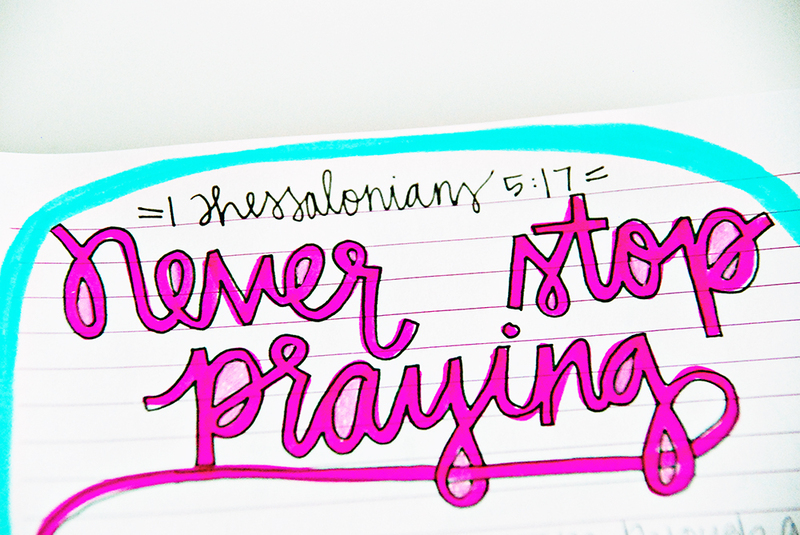 Lord, help me to be a prayer warrior. Help me to carry your Word in my heart so that my actions reflect your will for my life.